Amani Centre for Street Children is a nationally registered NGO based in Moshi, Kilimanjaro. 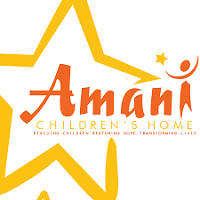 Amani is committed to reducing the number of children living on the streets in Tanzania by providing a safe place for homeless children to heal, grow, and learn and - when possible - to reuniting them with their relatives. Amani seeks to recruit a dynamic and innovative person to fill the following new positions. Overseeing and working with other staff members (including conducting professional training sessions on basic counseling skills for all staff) to ensure a comprehensive program of counseling that enables each and every child to get equal attention and the support needed. • Develop and Implement a (psychosocial) Life Skills and Sexual health programs for children and youth, co-conduct group sessions at Amani and in the street or Arusha drop-in Centre. help them change their behavior and/or emotions. • Bachelor degree in Psychological Counseling, or Child Psychology. • Bachelor degree in Social Work or Sociology from recognized Training Institutions, with additional training in Psychological Counseling or Child Psychology. • Proven knowledge about Life Skills training and coaching for children and youth. • Fluency both in Kiswahili and English required. implementation of the USAID KizaziKipya project in Arusha city especially in all Health related matters. ready or refer and link to HTC through bi-directional referral system as needed. diagnosed as HN+ Initiated treatment. activities that engage CLWS in ways that ensure their protection against all forms of abuse. through the HIV continuum of care. follow up on cases of incomplete referrals. 3. HIV officer also ensures that memorandum of understanding (MOU) between USAID KizaziKipya project/CSO and council Is observed and maintained. 5. HIV officer also supports participation of CSO in relevant meetings and workshops (health related) at CSO's catchment area as appropriate. Excellent written and oral communication skills in Kiswahili and English, including report writing. • Training skills in working with adult learners, particularly at the comma City level; experience in an appreciative approach a plus. • Demonstrated leadership and team-bulldIng skills. Please Visit our website www.amaniklds.org.